If you like movies that have a bit of hustle, swagger, and attitude, then you have to see these movies like War Dogs. The American Dream sometimes has a few twists and turns and may put people in some crazy situations that you have to cheat and lie your way out of! That’s where these movies that are similar to War Dogs come into play. I’ve found movies with some of the sickest (and funniest!) hustlers in the past few decades, and it doesn’t surprise me one but that all of them are based on true stories. These movies have you cheering for the underdog, and maybe even finding yourself cheering for a slimeball with the heart of gold! Check out my list of movies that have that hustle! 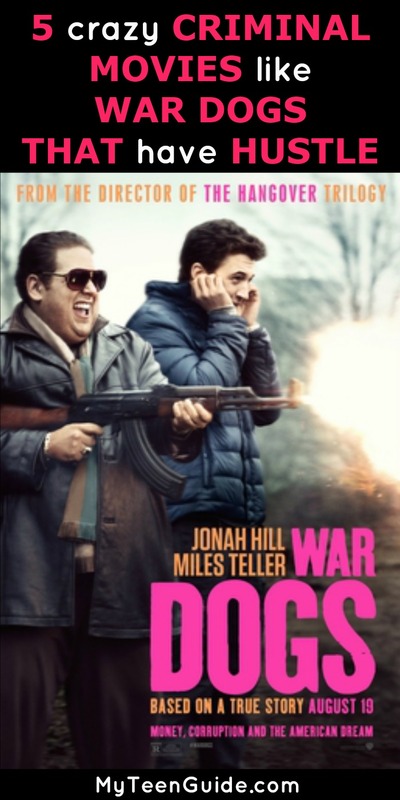 War Dogs is a biographical war crime comedy film that is set to hit theaters on August 19, 2016. Based on a true story, the movie is about two arms dealers, David and Efraim, who supply weapons to the military in Afghanistan, after scoring a contract with the government. Here are some movies like War Dogs. Related: How Many Action Movies Like Independence Day: Resurgence Have You Seen? The Wolf of Wall Street is a 2013 biographical comedy crime film that is based on the 2007 memoir of the same name by Jordan Belfort. The movie showcases the life of Jordan Belfort, from a wealthy Wall Street stock broker, who eventually saw his demise when he became engaged in crime and corruption. The Wolf of Wall Street stars Leonardo DiCaprio, Jonah Hill, Margot Robbie and Kyle Chandler. Catch Me If You Can is a 2002 biographical crime movie that is based on the true story of Frank Abagnale, who posed as a parish prosecutor, a doctor, and a pilot, to con millions of dollars and eventually was hired by the FBI to help them catch other criminals like him. Catch Me If You Can stars Leonardo DiCaprio and Tom Hanks. True Story is a 2015 mystery thriller movie that is based on the 2005 memoir by Michael Finkel titled True Story: Murder, Memoir, and Mea Culpa. The film is based on the true story of Michael Finkel, a journalist, who had his identity stolen by Christian Longo, a killer who is accused of murdering his wife and three children. True Story stars Jonah Hill, James Franco, and Felicity Jones. The Trust is a 2016 crime film that was released in theaters on May 13, 2016. The movie focuses on Lieutenant Jim Stone and Sergeant David Waters, employed by the Las Vegas Metropolitan Police Department engaged in undercover work, who discover a mysterious bank vault. The Trust stars Nicholas Cage and Elijah Wood. The Dogs of War is a 1980 war film that is based on the 1974 book of the same name by author Frederick Forsyth. The movie chronicles the life of James Shannon, a mercenary who is tortured and deported while on a reconnaissance job. The Dogs of War stars Christopher Walken and Tom Berenger. So do you have a favorite? Mine is Catch Me If You Can, it’s one of the few movies I can watch over and over! Which of these movies like War Dogs are you going to watch?